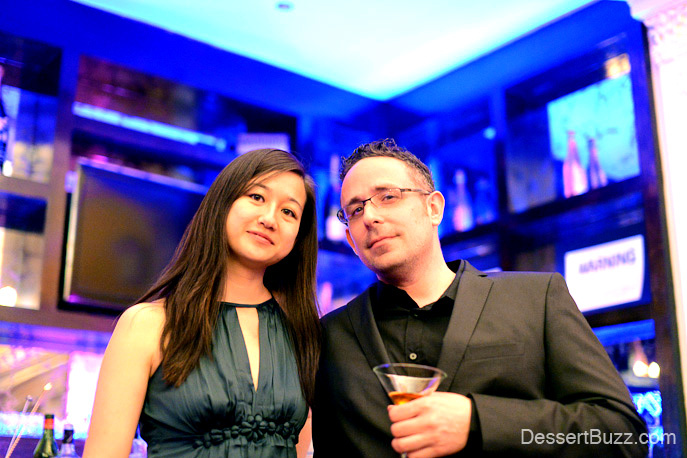 It’s been 2 years since StarChefs rising stars even has been back in NYC. 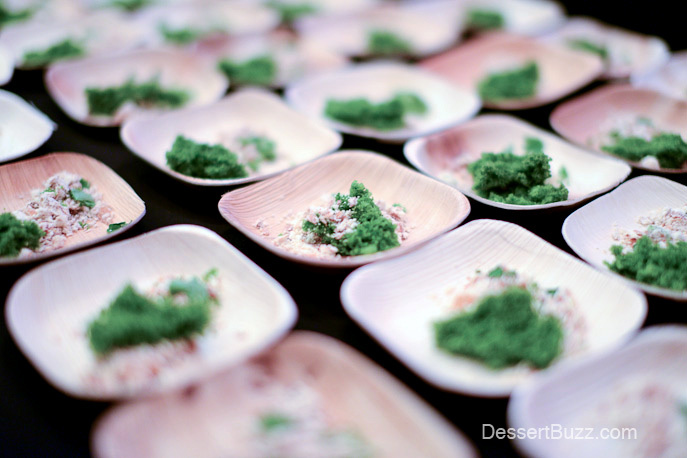 The 2013 Star Chefs Rising Stars award ceremony turned out to be a true look into the future of New York’s food scene. 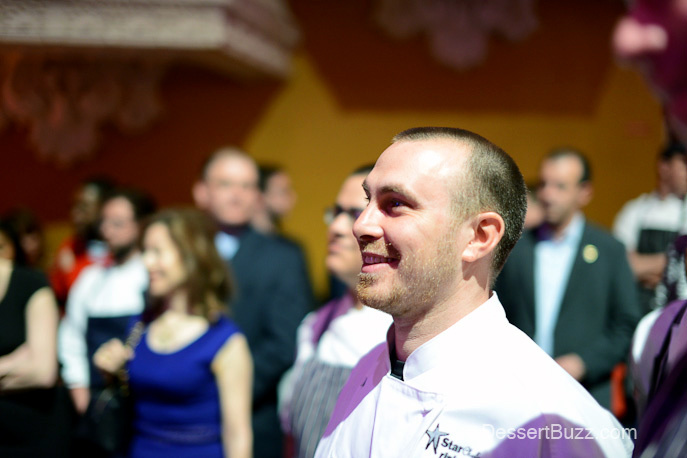 They recognized sixteen different chefs, pastry chefs, brewers, sommeliers, restauranteurs and mixologists, all from the NYC area. 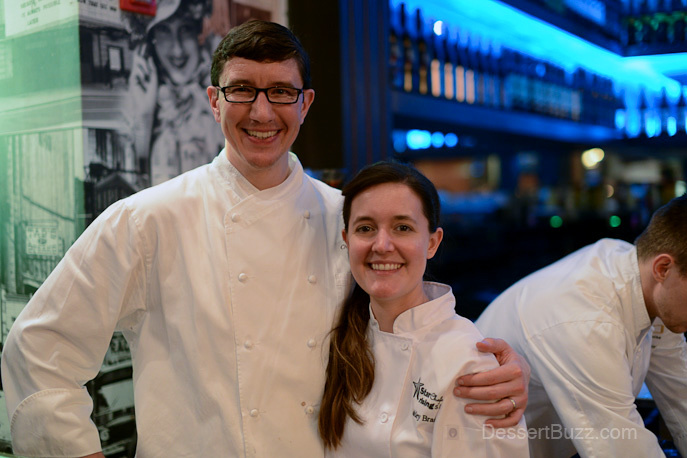 Pastry Chefs Ashley Brauze, formerly of DB Bostro Moderne has been at Cafe Boulud for almost 2 years. You can see some of her latest plates on Serious Eats. Malcom Livingston II, from WD-50 has moved on to Noma in Copenhagen. 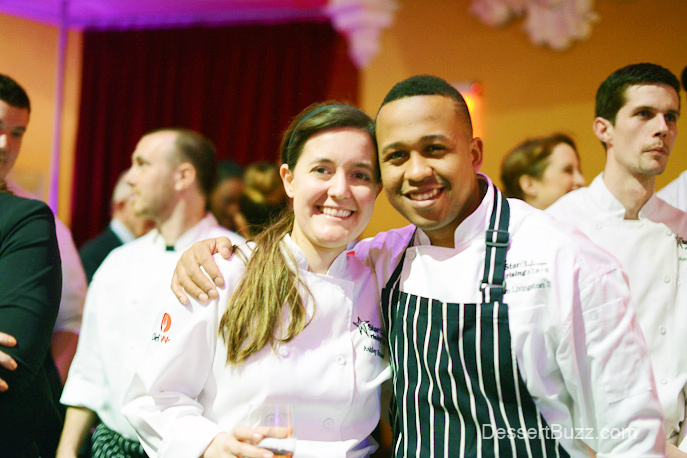 These two pastry chefs–both long time DessertBuzz favorites–were not only honored as rising stars but also took home the awards for best plate (Brauze) and 2nd runner-up for best plate (Livingston). This year, NYC pastry chefs Tracy Obolsky (North End Grill), Mina Pizzaro (Juni), Erin Kanagy-Loux (Reynard at Wythe Hotel) as well as Lizz Gutman and Jenn King (Liddabit Sweets) will be in attendance. For more information and ticket information for this year’s show go here. Before tonight, I had never tried Katy Peetz desserts but I really enjoyed them! 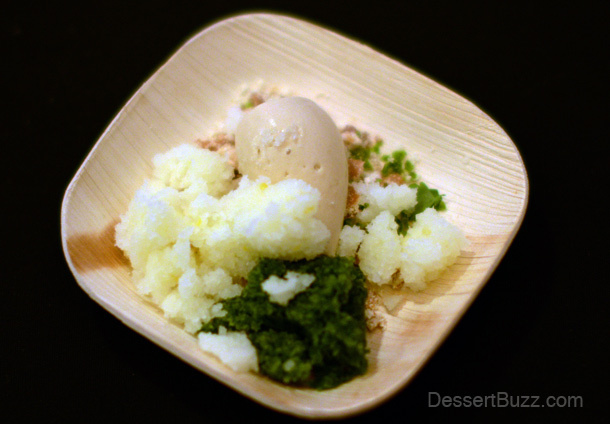 Her dessert, parsley cake, fennel black olive gelato, Meyer lemon granita and parsley olive oil crumble was very light but had a great array of different flavors and textures. 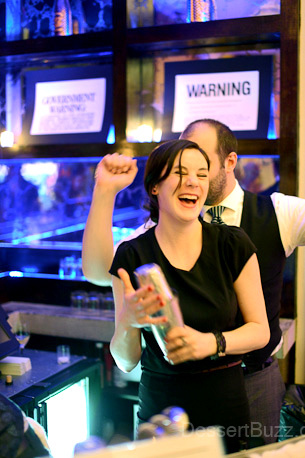 Two happy attendees enjoying themselves at the bar. Honoree, Zack Golper from Bien Cuit Bakery brought two dishes. This was his delicious savory dish, navy orange bergamot cremeux tart with rosemary ganache. 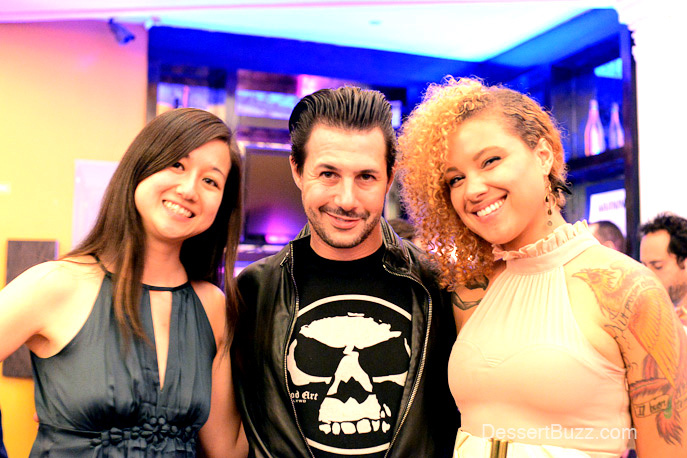 We caught Zachary Golper from Bien Cuit in a rare, smiling, moment. 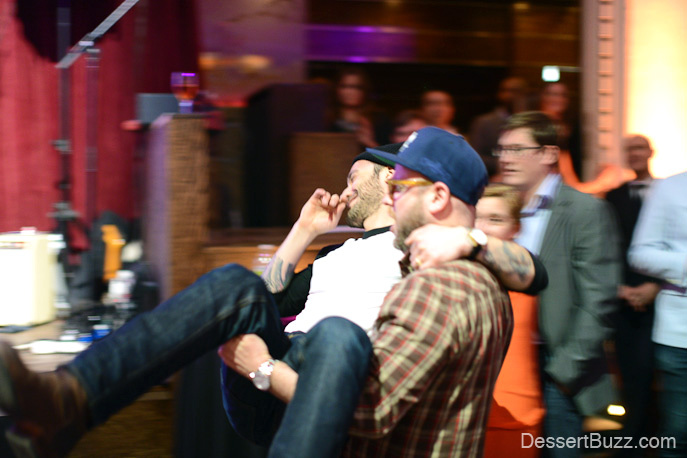 Daniel Holzman carries Michael Chernow (both from the Meatball Shop) to the stage to collect their awards. 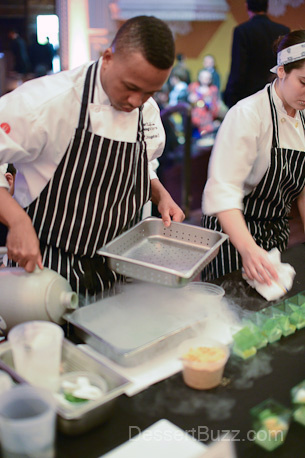 Malcolm Livingston II, from Wd-50 using liquid nitrogen for his dessert. 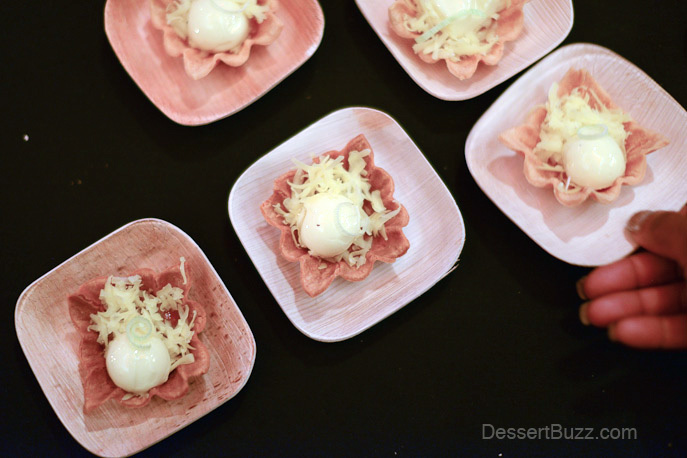 The dessert didn’t need any gimmicks to draw people to the table–it was fantastic on it’s own–so there was a line all night. 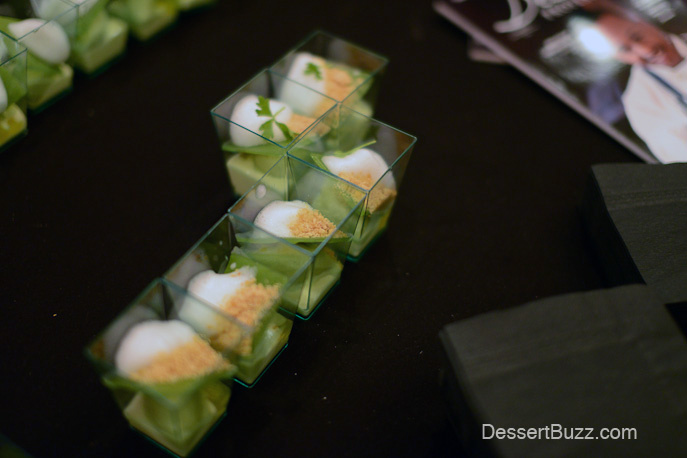 Malcolm’s dessert: Cucumber ice cream, jasmine cream, pineapple, chartreuse foam and smoked cashew nougatine. Here’s the dessert that Ashley Brauze brought: Poached rhubarb, strawberry meringue, citrus sponge cake, basil and fromage blanc sorbet. One of the night’s best dishes. Ashely with chef, husband Chad. Mixologist honoree, Jillian Vose of Death and Company shaking up one of her signature cocktails. 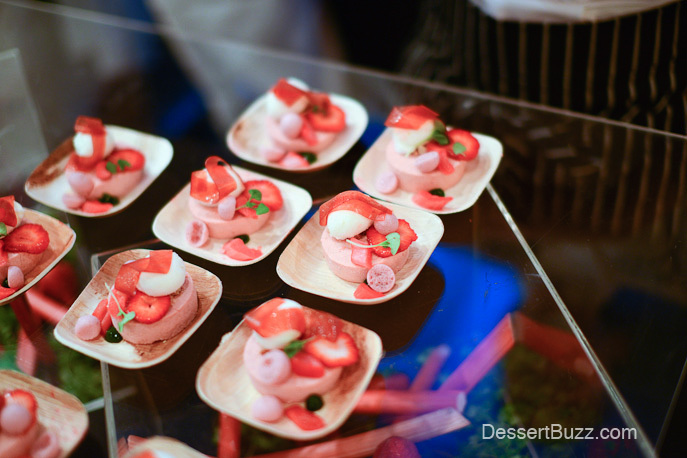 Follow DessertBuzz on Twitter for all your NYC Dessert and Pastry News. A complete list of the honorees is available on the Star Chefs website.